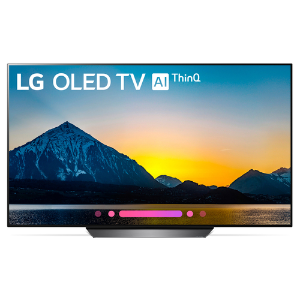 Beach Camera offers the LG OLED C8 65" 4K HDR ThinQ AI Smart TV for $1799 via coupon code "NFH12". Features: The Best TV Ever just got even better with the new LG OLED-exclusive α9 Intelligent Processor and LG ThinQ AI. 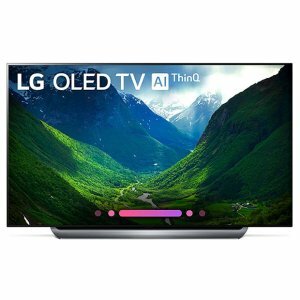 Beach Camera offers the LG OLED65B8PUA 65" Class B8 OLED 4K HDR AI Smart TV for $2099 via coupon code "OCE1381". Features: Go beyond just watching TV with the LG OLED65B8PUA 65" class Smart HDTV. Built with LG ThinQ artificial intelligence, it functions as the central hub for your entire Smart home setup. With it, you can access Amazon Alexa or the Google Assistant, control your connected Google Home devices, browse tons of streaming apps, and more--all in one place, and all with just the power of your voice. So when movie night rolls around, you can hit the lights, find the perfect film, and start the show with a just a few words! And with an OLED screen, it delivers dazzling 4K graphics, vivid colors, and HDR support for a cinema-quality picture, all within an ultra-thin design. From LG. 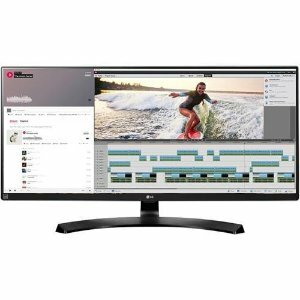 Beach Camera offers the LG Electronics 34UM88C-P 34" Class 21:9 UltraWide WQHD IPS LED Monitor for $459.99. 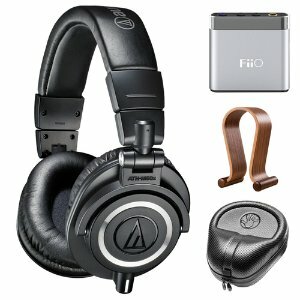 Buydig via eBay offers the Audio-Technica ATH-M50X Professional Studio Headphones & Fiio A1 Amp Bundle for $134.00 via coupon code "CKP156605286BL". Features: As the most critically acclaimed model in the M-Series line, the ATH-M50 is praised by top audio engineers and pro audio reviewers year after year. Now, the ATH-M50x professional monitor headphones feature the same coveted sonic signature, with the added feature of detachable cables. 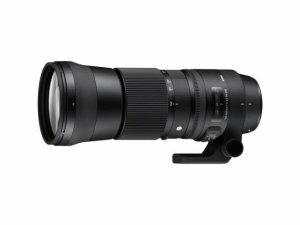 Beach Camera via Newegg offers as low as $774 Sigma 150-600mm F5-6.3 DG OS HSM C Zoom Lens for N/C. 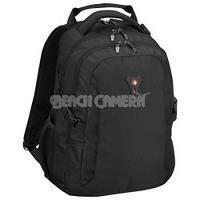 Get $ 100 Newegg Promotional Gift Card with purchase by Beach Camera. Features: The Sigma 150-600 millimeter 5-6.3 DG HSM OS Contemporary was created around the concept of maximum portability meets utmost image quality in a variable aperture hyper-telephoto zoom lens. 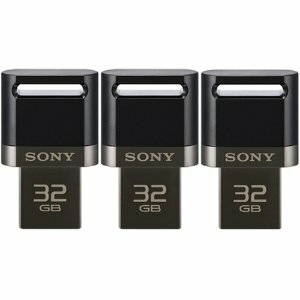 Beach Camera offers the Sony 3-Pack 32GB USB 3.0 Flash Drive for Smartphone and Tablets, for $19.95. Features: Downloadable file management software available from Google Play. Compatible with Windows10, 8.1, 8.7 and Mac OX X 10.8 or later, Google Android 4.1 or later. Available in 16GB, 32GB and 64GB capacity. 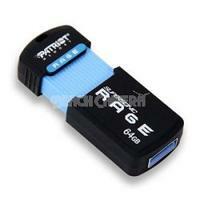 Faster transfer speed than USB 2.0 devices. Easily copy images, videos and files from your smartphone. 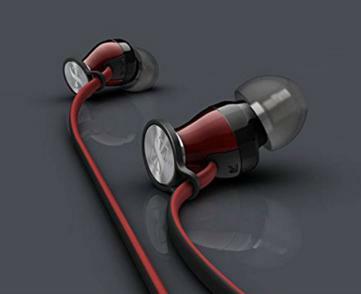 Beach Camera offers the Sennheiser Momentum In-Ear Headphones (iOS Devices) for $75 via coupon code "CLEAROUT25". Features: Dynamic drivers; 15-22,000 Hz frequency response; 18ohms impedance, 118 dB (1 kHz/1 Vrms) SPL, THD<0.5% (1 kHz, 100 dB SPL); omni-directional microphone. 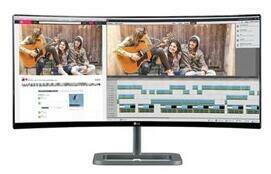 Beach Camera offers the LG 34UC87-C IPS 21:9 34" 3440X1440 Curved UltraWide QHD LED-Lit Monitor Display for $629.00. 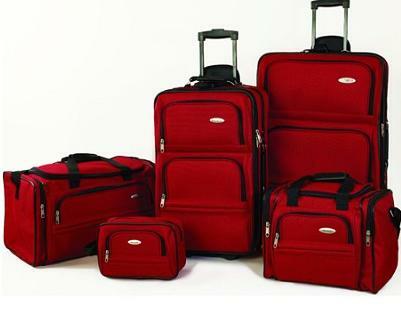 Beach Camera offers Samsonite 5 Piece Nested Luggage Set (Black) for $89. Includes: 5 different sizes to fit every travel need, including a 26" upright, a 22" upright, a travel duffle, a travel tote, and a toiletry kit. 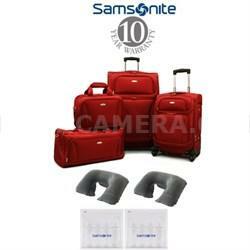 Beach Camera offers the Samsonite 8-Piece Lightweight Luggage Set for $149 via VISA checkout with coupon code "VISASAVE20". The set includes 28" and 20" four-wheel spinner cases, 20" duffel bag, 14.5" boarding tote, two clear plastic toiletry bags, and two travel neck pillows. 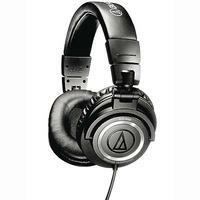 Beach Camera offers the Audio-Technica ATH-M50 Professional Studio Monitor Headphones with Coiled Cable for $99 with free shipping via coupon code "ATHSAVE". Amazon hat it for $139​, with nearly 3300 great reviews close to 5. 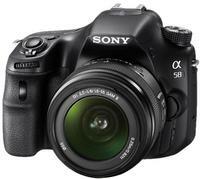 Beach Camera offers the Sony Alpha SLT-A58K 20.1-Megapixel Digital SLR Camera plus the Sony 18-55mm f/3.5-5.6 Zoom Lens, model: E13SNSLTA58K, for $498 with free shipping. Features/Specifications:a 2.7" tiltable LCD, automatic HDR, 8 frames per second continuous shooting, and HD video recording. Beach Camera offers Up to $300 rebate on Canon lenses & speedlite. 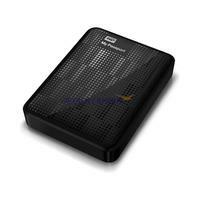 Beach Camera offers the Western Digital My Passport 2 TB USB 3.0 High Capacity Portable Hard Drive for $99.99 with free shipping via code VmeMemory10 and check out with V.me by Visa. Beach Camera offers the Wenger SwissGear Sidebar 16" Laptop Backpack , model: 64081101, for $23.95 with free shipping via coupon code "VmeMemory10" and check out with V.me by Visa. Also offers the Wenger SwissGear Digitize Deluxe 16" Laptop Backpack, model: GA64081201, for $37.95 via the same code with free shipping. 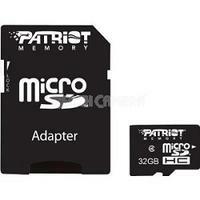 Beach Camera offers the Patriot 32GB microSDHC Class 4 Secure Digital High-Capacity Card, model: PSF32GMCSDHC43P, for $27.99 . redeem this $5 mail-in rebate for a final price of $12.99 with free shipping. 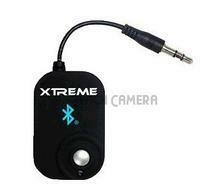 Beach Camera offers the Xtreme Wireless Bluetooth Audio Receiver, model: 51901, for $11.99 (was $49.99) with free shipping. It features a range of up to 33 feet, USB cable, and coupler to stream music through your headphones, input jack-equipped car stereo, or speakers. Beach Camera offers Patriot Supersonic Rage XT 64GB USB 3.0 Flash Drive 180MB/s Read 50MB/s Write for $52.99 with free shipping.